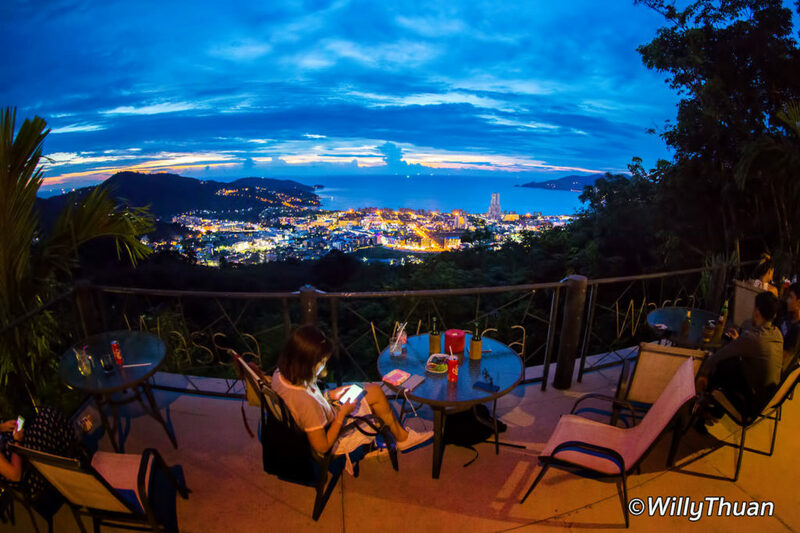 Wassa Homemade Bar or just Wassa Bar is a modest little bar located high on the hill in the back of Patong Beach. 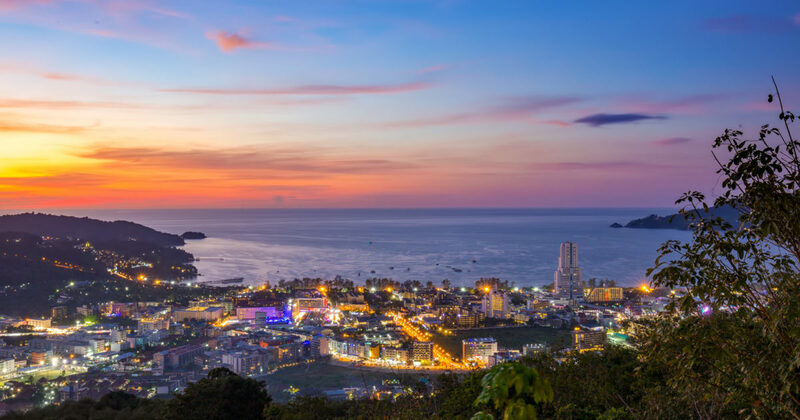 You can go there from 4 pm to watch a sunset with a 180˙ panoramic view of Patong. This little hut with terraces is all made of wood and thatched roofs, surrounded by trees and greenery. 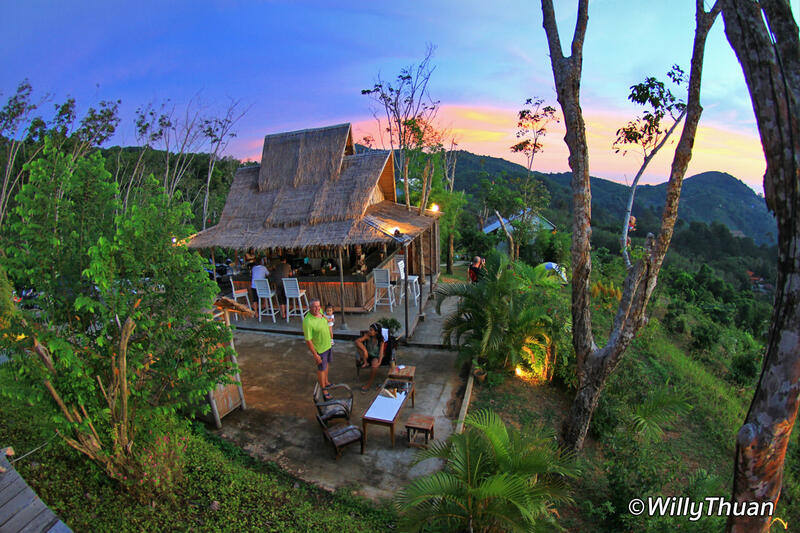 Wassa Homemade Bar is a great place to treat yourself with a cold drink, some snacks or Thai food at the end of a hot day in Phuket. Wassa Bar is private property, and you must buy something if you plan to stay and take photos. It seems obvious, but a lot of people forget this basic fact. The large wooden terrace at Wassa Homemade Bar is great to chill for hours and enjoy the ever-changing ‘cloudscape’ over the sea while enjoying your drinks. Another smaller platform was added in front of the bar to accommodate more customers. Surprisingly, the raining season might be the best time to take stunning photos, with massive clouds drifting over the ocean, in front of the sun. They also serve decent Thai snacks and drinks at very affordable prices. Just for this panoramic view, it is worth the climb. The best way to go to Wassa Bar is probably by motorbike, but a Tuk Tuk might be able to get you there. You will need to reach the back road called 50 Pee Road, which is accessible from Pisitgoranee road. On the map below we traced the way from Jungceylon, that should give you a good clue (about 4 km from the mall). There is a sign at the entrance of the small street that leads to the bar. Note that the slope is steep to reach up there. Enjoy, but don’t forget to order a drink before shooting! 40 Amazing Phuket beaches and how busy are they?